My flight from Clark, Philippines to Kota Kinabalu, Malaysia via AirAsia. I was about to go on my 3-week trip in Malaysia, Brunei, and Indonesia. 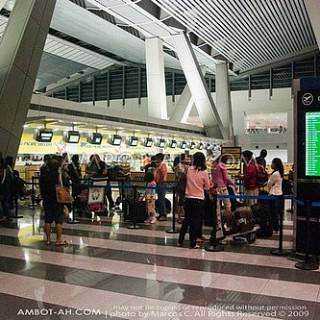 As usual, my trips overseas had always started with a flight to Manila and a few days stay in Metro Manila area. The airport in my hometown, Iloilo, already began servicing direct international flights by Cebu Pacific airline. Unfortunately, the destinations served were still limited to Hong Kong and Singapore only. On this trip, I flew exclusively with AirAsia on all my flights since they operated the most extensive flight network within South East Asia. I bought my plane tickets a year in advance, during one of AirAsia’s Big Sale promotion. Here were the very cheap “all-in” fares I paid for my flights. For the cheap flights I bought, I did not mind flying out of Clark Airport instead of Manila. My flight was scheduled in the mid-afternoon and Clark was only a 1-2 hour drive away from Manila. There were direct “Metro Manila to Clark Airport” aircon buses, which I thought was expensive. One way fare was around P400+. To spend less on transport, I decided to ride a bus from Manila to Dau, Pampanga first and then catch a ride to Clark airport from Dau (Mabalacat) Bus Terminal. First, I rode the LRT 1 (yellow line) to Doroteo Jose LRT station. There was a “Genesis” bus terminal within short walking distance. It actually looked more like a parking area than a bus terminal. The conductor told me I could ride their Baguio-bound bus, which had a “stop” at Dau Bus Terminal. The bus ride from Manila to Dau took 1 and a half hours (P139 fare). Dau Bus Terminal was situated just outside Angeles City center, which in turn sprawls beside Clark Freeport Zone where Clark Airport is located. After arriving at Dau Bus Terminal, I asked the terminal staff where I can find the shuttle bound for Clark Airport. They pointed at the direction of the loading station of Bocacue-bound “L300” shuttle vans and told me I can find the airport shuttles there. So, I walked out of Dau bus terminal. Took a left turn and found the shuttle van parking area beside Chow King. There were no airport shuttles when I arrived. In the meantime, I asked around to confirm if the shuttles to Clark Airport really did pick up passengers at the van terminal. There weren’t any obvious signs around to calm my confusion. Clark Airport was better known to locals as “DMIA (De-mee-ya),” an abbreviation of its formal name, Diosdado Macapagal International Airport. The DMIA shuttle was an air-conditioned jeepney. Fare was P100 per person and the shuttle would only leave for a minimum of 5 passengers. Taking the DMIA shuttle was definitely not for people in a rush to catch their flight because waiting time could take a long long while. I also thought the P100 fare was expensive, considering Clark Airport was only 9 kilometers from Dau Bus Terminal. Anyways, taking this route was still cheaper than taking the direct Clark Airport bus. I only spent P239 bus fare from Manila. It was still possible to spend less on transportation to Clark Airport. The most frugal travelers can ride the public jeepneys that connect Clark Freeport Zone with Dau Bus Terminal and SM Clark mall. 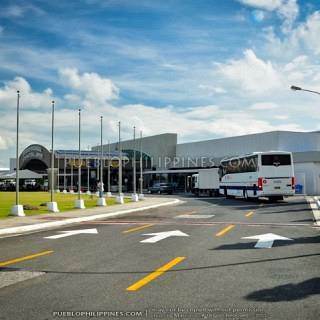 At the time, the passenger terminal of Clark Airport wasn’t finished yet. It had very plain, almost boring, exteriors and interiors. The airport terminal fee was not included in my plane ticket. So, I paid P600 terminal fee for international flights after check-in at the AirAsia counter. Then the unavoidable and annoying P1,620 “travel tax” that Philippine citizens have to pay for each departure out of the country. Getting a departure stamp from the Philippine immigration counters was unexpectedly smooth. It was my first stress-free encounter with the Philippine immigration. Previously, Philippine immigration officers had always been stringent with their questions. Asking me about my trip, financial capabilities, job etc… I used to fumble for words, thinking about what to say. Because of my anxiety, I ended up talking about too many unnecessary details. This time, I tried to be more calm, confident and give simple answers. It worked! It was my first time flying with AirAsia. I loved my flight from Clark to Kota Kinabalu because the plane flew over (almost) the entire stretch of Palawan mainland and beautiful group of islands in the northern part of Palawan. 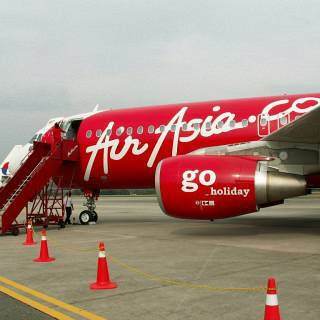 AirAsia’s service was efficient and offered what I expected from a “no-frills” airline. AirAsia lands and departs at Terminal 2 of Kota Kinabalu International Airport. After arrival, it was time to queue at the immigration counters. Getting an arrival stamp at the Malaysia immigration counter was hitch-free. 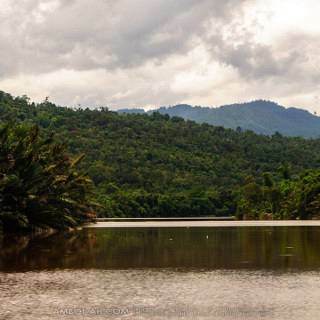 The Malaysian government offers free visa on arrival for Philippine passport holders. I changed US$100 to Malaysian Ringgit (MYR or RM) at the Maybank currency exchange. US$100 converted to RM292.5, which was more than enough to pay for transport to KK City Center and a couple of days backpacking. Airport buses end service around 5 to 6pm. So, there weren’t any waiting at the terminal after my arrival. While on my search for these airport buses and figuring out a way to get to the city center, I met another Filipino traveler who was on the same boat. We were told to follow the road leading out of the airport complex, walk to Plaza Tanjung Aru (supermarket), and then wait for shuttles that go to Wawasan Terminal. At Wawasan Terminal, I and my new friend met two more Filipino travelers who also needed to go to KK City Center. Incidentally, they also rode the same shuttle from the airport. The four of us boarded the “CityBus” that goes to KK City Center and dropped off at City Park, near KK City Hall.